Chicago, Ill.—Before getting too far into the New Year, let’s take a look at the Chicago area racing scene 25 and 50 years ago. The years were 1994 and 1969. 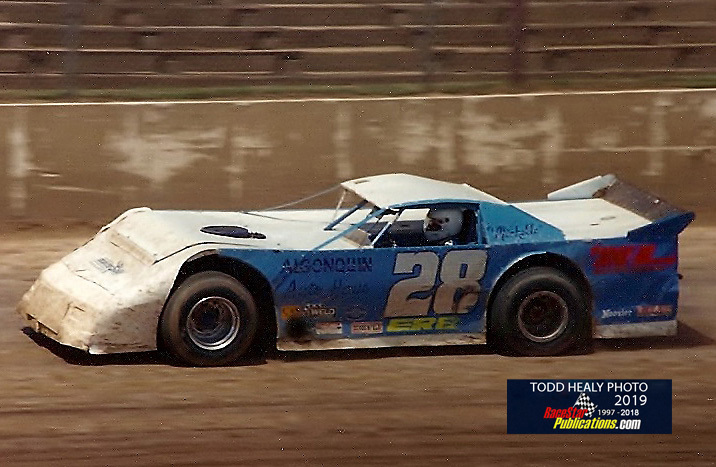 25 Years Ago (1994) 21-year-old Dennis Erb Jr. had a great season on area dirt short tracks, winning late model championships at both the Kankakee Fairgrounds Speedway and at the LaSalle Speedway. 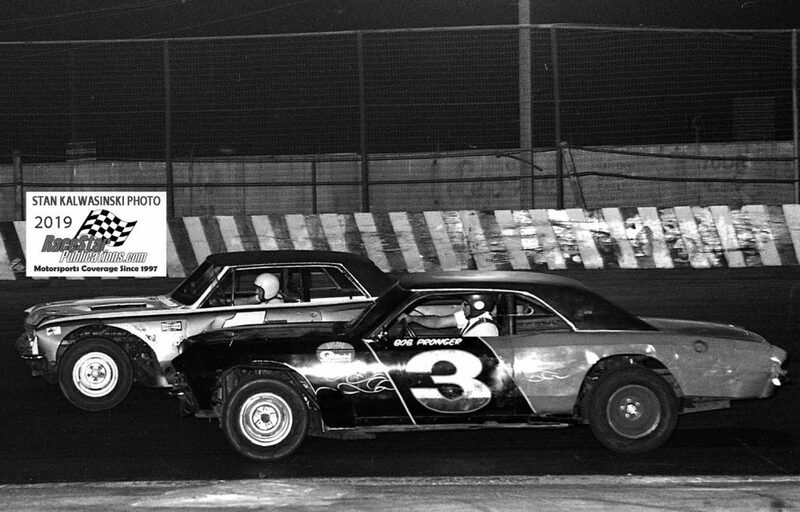 The Carpentersville, Ill., racer won a total of eight feature races between the two speedways. Jay Fiene was the champion of the Midwestern late model division at Kankakee. Other Kankakee stock car champions in ’94 were Steve Metz (hobby stocks) and Mike Serena (street stocks). Other LaSalle champions for the season were Tim Routson (Midwestern late models), Jett Hartzell (sportsman) and Buddy Boyd (street stocks). John Knaus nailed down his seventh career late model track championship at the Rockford Speedway. Knaus won 13 feature races at the high-banked, quarter-mile paved oval on his way to the title. Other Rockford champions included Travis Kvapil (American Short Tracker – 4 cylinders), Bobby Miller (sportsman), Scott Lawver (roadrunners), Tom Schneider (figure 8) and Keir Loveless (women-on-wheels). Frank Gawlinski was the late model track champion (for the seventh time) at Illiana Motor Speedway in Schererville, Ind. Gawlinski drove his own Thunderbird and Marv Hixon’s ’94 Grand Prix to the title over Brian Muick and Wayne Para. Gawlinski won eight feature races at the half-mile paved oval, including a record eighth Tony Bettenhausen Memorial 100 win. “Biff” George, son of Chicago Bears football great, Bill George, was the late model titlist at the Grundy County Speedway in Morris, Ill. The third-of-a-mile paved oval saw George win two feature races in his ’94 Cutlass and win the division championship over John Brolick and Dave Finney. Other Grundy champs included Don Ehret (modified street stocks) and Ron Nieckula (street stocks). Frank Reaber raced to his third late model title at Santa Fe Speedway in Willow Springs, Ill., winning three feature races and besting John Provenzano and John Garrett Jr. in the final points tally. Joe Rossio Jr. was Santa Fe’s sportsman division champion. The speedway’s other champions included Jeff Klassert (Lightning Rods – 4 cylinders), Ron Bliss (Short Track American Racer – hobby stocks) and Fran Mills (ladies division). John Brolick raced to late model division honors at Blue Island’s Raceway Park. 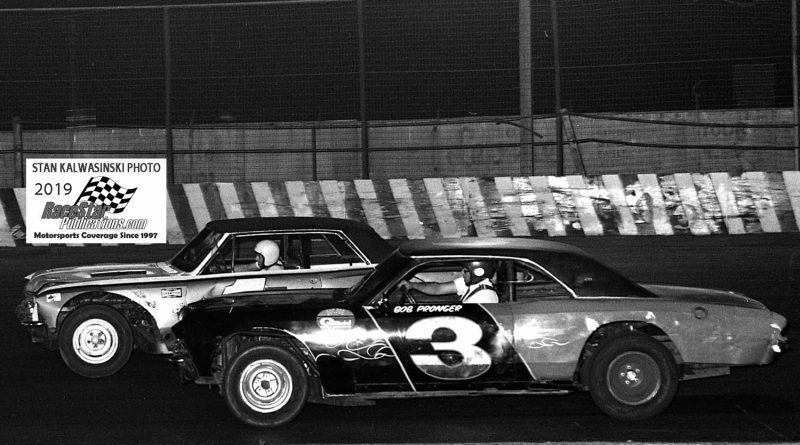 Brolick captured nine feature wins at the tight, quarter-mile, paved oval, taking the title over Bob Cagle and Mike White. Joe Jones was the semi pro division champion with Ron Haney winning the street stock title and Pat O’Rourke the enduro championship. Tim Toppel grabbed super late model honors at the Sycamore Speedway over Johnny Heath and Denny Falkos. Mike Nelms was the track’s spectator division titlist with Brenda DuPree being crowned the powder puff champ. Wisconsin speedster Steve Carlson won the ARTGO Challenge Series late model title over Kevin Cywinski and Larry Schuler. Carlson scored four wins during the 17-event season, including a 100-lap victory at Illiana. Joe Shear won the Wayne Cater Classic at Grundy with Scott Hansen capturing the ARTGO-sanctioned National Short Track Championships 300 at Rockford. Another Wisconsin racer Tony Strupp opened the ARTGO season at Rockford with a win. Don Carter Jr. wheeled Jim Anderson’s No. 36 midget to championship honors for United Midget Auto Racing Association open-wheel competition. Carter finished ahead of John Warren and John Meyers in the final points tally. 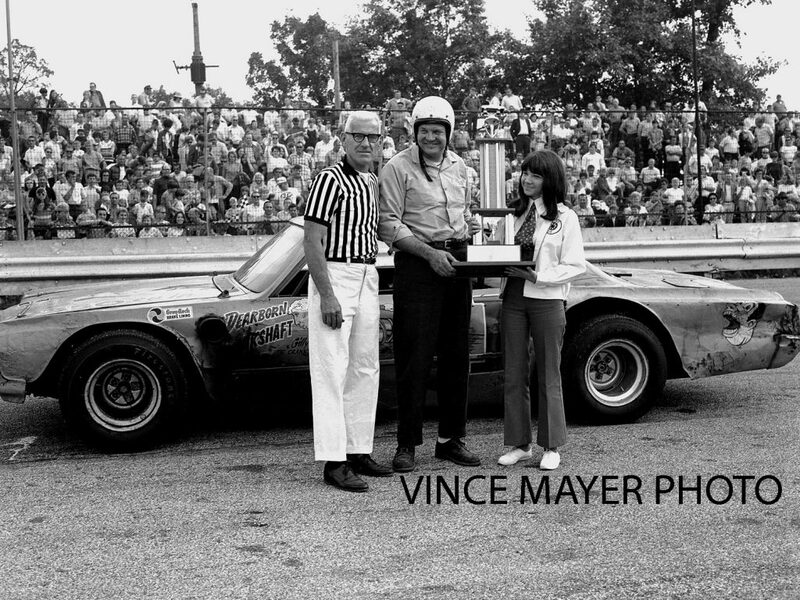 Sue Spencer was UMARA’s sportsman division champ. Eddie Hoffman was the champion of the Mid American Stock Car Series. The second-generation racer won eight races in 18 starts and finished ahead of Jim Duchow and Mark Sontag in the series’ standings. Dave Weltmeyer won two times on the ARCA Supercar Series tour. Weltmeyer made only 10 starts in the series’ 21 races. Stock car racing at Southlake Speedway in Crown Point, Ind., saw no champions named as the season ended early because of a drivers’ strike. Kim Mock was the sprint car champion for the International Racing Association. 50 Years Ago (1969) Dave Sorg of Fort Wayne, Ind., captured the late model stock car track championship at Harry Molenaar’s Illiana Motor Speedway. Sorg, wheeling a 1965 Ford Fairlane, captured the annual Gladiolus Classic and the 75-lap Season Championship race on his way to the title. Michigan’s Joy Fair won the track’s annual Tony Bettenhausen Memorial 100, his second win in two starts with the other victory coming in 1967. Experimenting with six cylinder late models early in the year, Raceway Park saw V8-powered late models and longtime track favorites return about mid-season with Bob Pronger and his Dave Roulo-prepared 1966 Chevelle winning 13 feature races and the track championship. Familiar faces likes Harry Simonsen, Jerry Kemperman, Bud Koehler and Stash Kullman were among other feature race winners. Sadly, Howie Gast died from injuries received in a late model accident in September. Switching from dirt to pavement during the off-season, the Waukegan Speedway saw Ray Young and his Mercury Cyclone win 12 late model features races on the new quarter-mile pavement. Bob Roper and his Chevy II were second in the points with nine feature wins and Jim Cossman third. Former Waukegan Speedway stock car titlist Dennis Burgan won the late model driving crown at Wisconsin’s Lake Geneva Raceway, while Dave Decker was the mini-stock champion at the Joliet Memorial Stadium. Joe Shear captured his third consecutive late model season championship at the Rockford Speedway. Iowa’s Ramo Stott in a Plymouth grabbed top honors in Rockford’s annual season-ending National Short Track Championships 200-lap battle. Don Waldvogel drove his Seth Piper-prepared Chevelle to the season points championship in the late model ranks at Santa Fe Speedway. Waldvogel, along with Bob Kelly, Larry Jackson and veteran Bill Van Allen, were all winners of special championship races on Santa Fe’s half-mile oval with Van Allen’s victory coming in the track’s annual National Clay Track Championship 200 lapper. Bob Kelly and his Chevelle made it two championships in a row on the dirt at the Kankakee Fairgrounds Speedway. Bill Hollis was the top gun in late model action on the dirt at the Sycamore Speedway. United Auto Racing Association (UARA) midget competition saw Bill Krueger in the Max Reichenbach-owned, Sesco engine-powered, open wheeler score top season honors as the UARA midgets raced Saturday nights at the Mazon Speed Bowl. Indiana’s Gary Byers was crowned the UARA Grundy County Fair midget champion after he, Willard Yates and Jim Gates won feature races during the annual fair. Gates and Bill Kollman also scored UARA feature wins in July. The high-banked, quarter-mile, paved speed plant was also the scene of stock car racing with Bob Roper being named the late model track champion. Area midget racer Jim McClean ventured up north into Wisconsin during the summer and made off with the Badger Midget Auto Racing Association driving crown. Former UARA midget champion Bob Tattersall captured the season’s United States Auto Club (USAC) midget championship. “Tat” won 11 national events on his way to his first USAC title. Another former UARA champ, Leon “Jigger” Sirois almost sat on the pole position for the Indianapolis 500 but his crew waved off what would have been a successful qualifying run. Local racer William “Whitey” Gerken wheeled his ’69 Chevelle to victory in a 100-lap USAC stock car race one the half-mile dirt Tri-County Speedway near Cincinnati, Ohio. Gerken finished 10th in the final USAC stock car standings in 1969 with fellow Chicagoland speedster Gene Marmor nailing down ninth. Northwest Indiana dirt track stock car action saw Larry Day claim top honors at the Rensselaer Raceway while Harve Hollifield was the top man in late model stocks at the Broadway Speedway in Crown Point. The address for news and comments is 9618 Cypress Ave., Munster, Ind. 46321-3418 or e-mail to skalwasinski@yahoo.com.